If you are looking for Used Saab engines then Sharper Edge Engines is one stop solution for your requirements in used engines category. Why a brand new car cost so much? Did you ever give a though on it? We are sure the answer is NO! If you break the cost of any brand new car then there are two things that are high priced in these cars and that are its engine and its brand name. In a few cases introduction of any new technology also contributes heavily in its overall price. But why spending thousands of dollars in brand new car if you can easily purchase and re-install the used engine in your old car body. We are into this industry of used auto parts and engines from a very long time and have an appreciable clientele of all kinds of customers especially those who are looking for a perfect combination of performance and affordability in rebuilt Saab engines. Due to the highly qualified staff and years of experience we are able to judge our customers easily that what they are looking for. We have an open inventory that can be browse by you because as a smart buyer we want you to assess your requirement and options that we are providing and then make an informed decision. Saab AB is a Swedish brand that is known as aerospace and defence company. 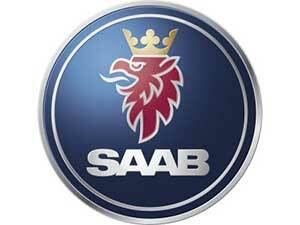 Later in year Saab AB decided to design small automobiles and subsequently in year 1945 the birth of Saab automobiles took place. The very first model under Saab automobiles was introduced in year 1949 then its production was delayed for years as its parent company was merged with Scania Vabis in 1968 that eventually lead to the launch of another series of Saab automobiles in year 1978 by the name of Saab 900. Still today this model is considered as one of the best creation of the company. Later in year 2010 and 2011 Saab automobiles has gone through financial crisis. At that time several proposals of merger and acquisition were presented but due to one or other reasons they were failed to put into action. Eventually in June 2012 the bankruptcy estate of Saab automobiles was bought by National Electric Vehicle Sweden. So even today it is not hard to find Saab’s power efficient engines at reasonable price then you should visit Sharper Edge Engine’s inventory of used Saab engines as all models are available in excellent condition. In this we have B201, B204, B212, B206, B234 and B205. This engine is known for generating about 250 to 300 horsepower with maximum torque between 300 to 320 Nm. It has 32 valves and 4 camshafts and is available in non-turbocharged form and it is one desirable option in category of used Saab engine. Saab 900, Saab 9-3 and Saab 9000 are some of the models that contained this powerful engine. Sharper Edge Engines will help you find the rebuilt Saab Engines to obtain the used engine of one's desires, only by making use of your desktop computer and the web, in much less time than it'd simply take by more common techniques. Contact us through out quick contact form or ring us on our numbers available on the website to know what we have in stock for your particular car model.